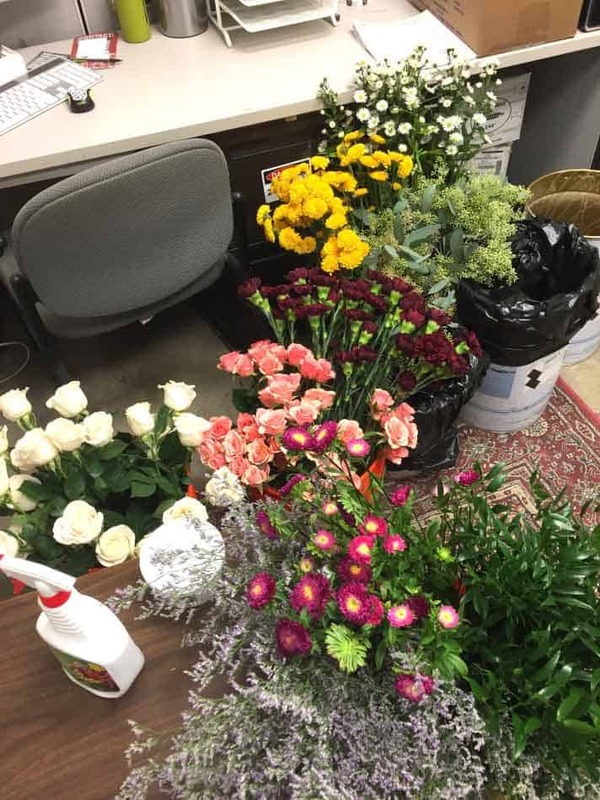 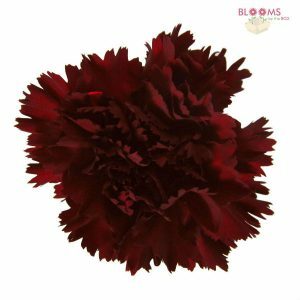 Our “Behind The Bloom” series gives our customers a chance to share their special stories and DIY experiences. 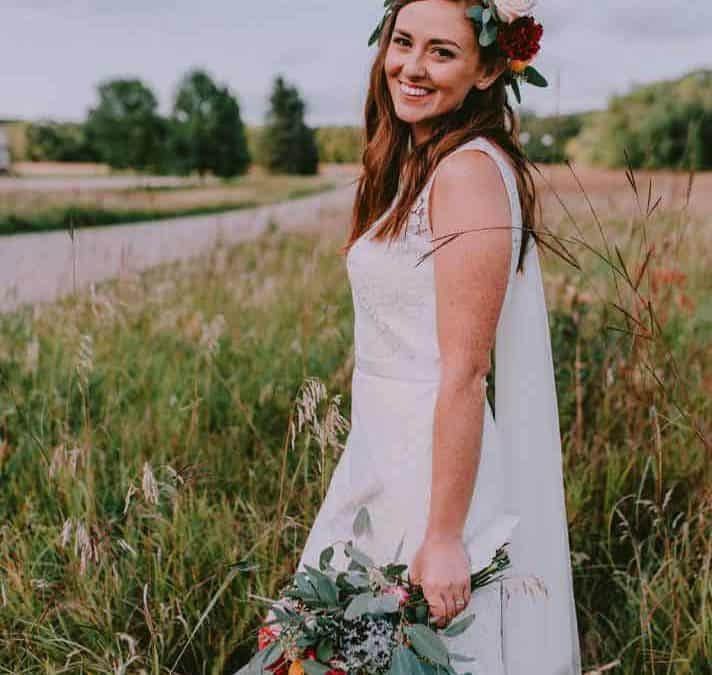 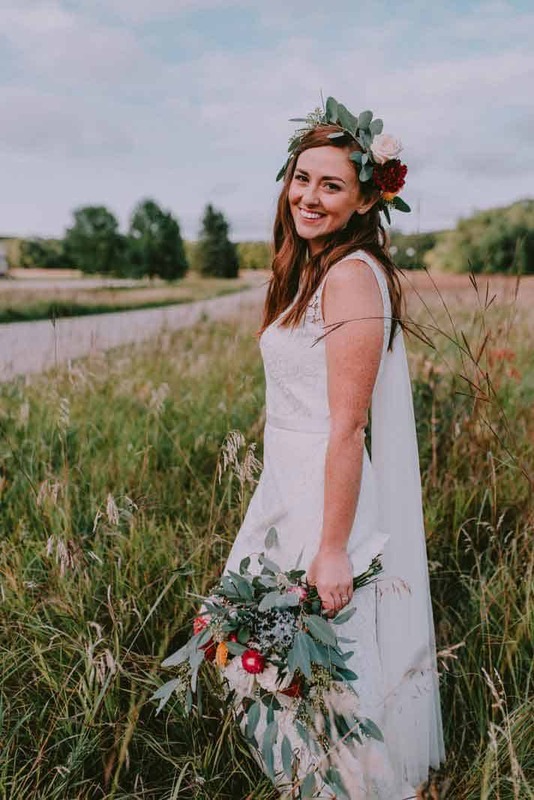 Today’s Behind The Bloom is Ashley, who had her rustic romance wedding at Turtle River State Park in North Dakota. 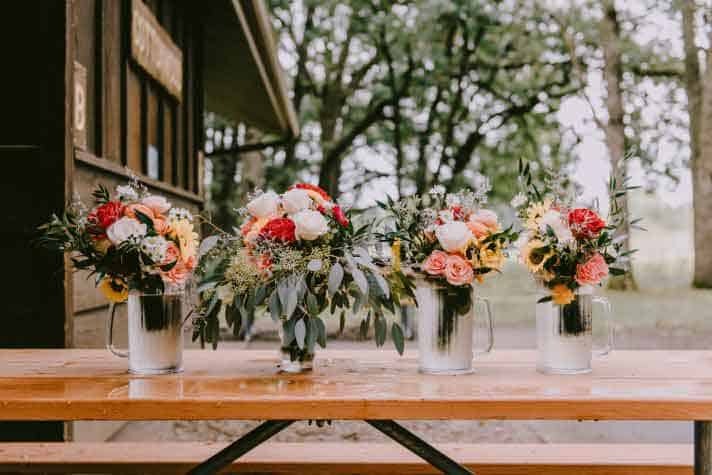 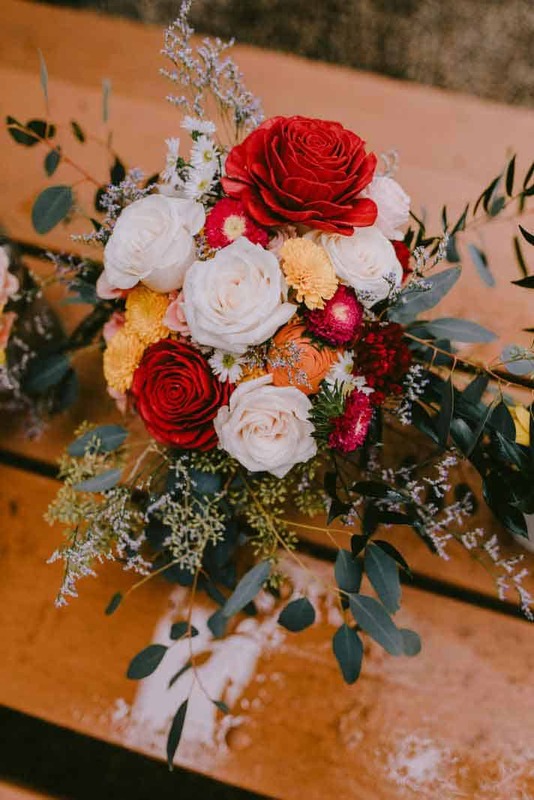 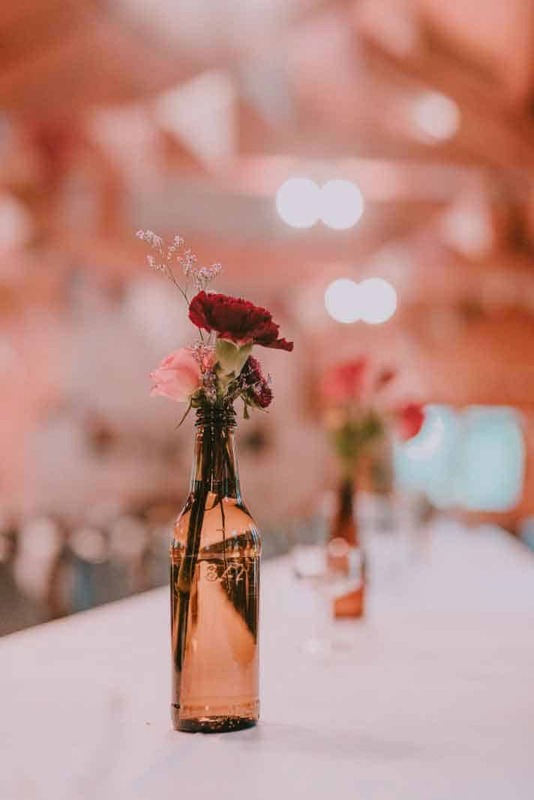 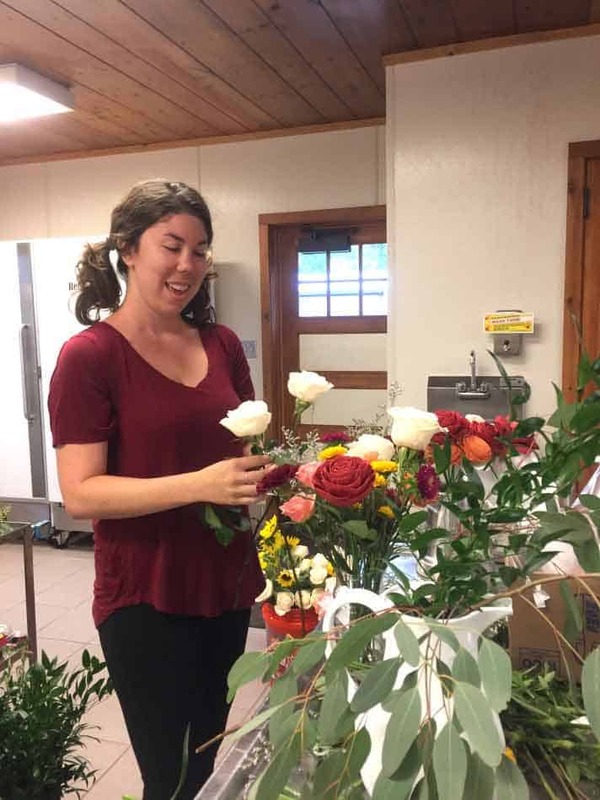 Her wedding featured rustic bottle centerpieces filled with burgundy carnations and limonium, while her romantic bouquets bloomed with cream roses, asters, and eucalyptus.